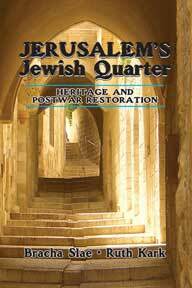 This scholarly, incisive, and thought provoking book provides an in depth account of Israel’s rebuilding of the Jewish Quarter of Jerusalem after the 1967 Six Day War, in the context of approaches to post-war restoration and heritage preservation and development, both local and worldwide. Inward-directed heritage development and its importance to collective identity, and outward directed heritage development (primarily tourist but also strategic and political) were decisive concerns. The rebuilding of the Jewish Quarter is compared to contemporary preservation old cities of Jaffa, Acre and Safed, activity in the historic to heritage conservation in Old Cairo, and to postwar conservation of Beirut, Warsaw and York.